Do you want your life to count to the greatest degree imaginable for the glory of God? Years ago I decided that I wanted to live to the hilt of every situation that I believe to be the will of God. I want to experience the full measure of the blessings of Christ in my life and ministry. Every spiritual blessing we enjoy comes in and through Jesus Christ. Every believer is an “heir of God and co-heir with Christ” (Romans 8:17). The apostle Paul wrote Timothy, “Instruct those who are rich in this present world not to be conceited or to fix their hope on the uncertainty of riches, but on God, who richly supplies us with all things to enjoy” (1 Timothy 6:17). Jesus said, “Seek first His kingdom and His righteousness, and all these things will be added to you” (Matthew 6:33). John Calvin expresses this provision in Christ beautifully: “If we seek salvation, we are taught by the very name of Jesus that it is ‘of him’ (1 Cor. 1:30). If we seek any other gifts of the Spirit, they will be found in His anointing. If we seek strength, it lies in His dominion; if purity, in His conception; if gentleness, it appears in His birth. For by His birth He was made like us in all respects (Heb. 2:17) that He might learn to feel our pain (cf. Heb. 5:2). If we seek redemption, it lies in His passion; if acquittal, in His condemnation; if remission of the curse, in His cross (Gal. 3:13); if satisfaction, in His sacrifice; if purification, in His blood; if reconciliation, in His descent into hell; if mortification of the flesh, in His tomb; if newness of life, in His resurrection; if immortality, in the same; if inheritance of the Heavenly Kingdom, in His entrance into heaven; if protection, if security, if abundant supply of all blessings, in His Kingdom; if untroubled expectation of judgment, in the power given to Him to judge. In short, since rich store of every kind of good abound in Him, let us drink our fill from this fountain and from no other” (Institutes of the Christian Religion, p. 527-28). Are you available to God to do what He wants to do in and through you to be a blessing to a lost world? God will not bless you abundantly if you are self-centered, and much of our desire for God to bless us as Christians is purely selfish. Do I sincerely want God to bless me so that I may be a spiritual well-being to other people? To some people it might be revolutionary, but may I suggest that you think of your life as a means by which God can impart spiritual blessings to other Christians, and the lost world. God wants to bless us so that we might be a blessing to others. Everything in the Christian life begins, continues and ends in Christ Jesus. C. S. Lewis once said the greatest heresies in the church are not the denials of Christian truth, but additions to it. 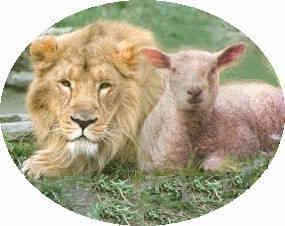 It is what Lewis called “Christ and …” Christ and Islam, Christ and Buddha, Christ and works, Christ and humanism, etc. No, Christianity is Christ, alone. All true spiritual blessings come through Christ alone for God’s glory alone. God is not looking for men and women who will trust in their abilities, but on His power and wisdom alone. “God chose the foolish things of the world to shame the wise; God chose the weak things of the world to shame the strong. He chose the lowly things of this world and the despised things—and the things that are not—to nullify the things that are, so that no one may boast before Him. It is because of Him that you are in Christ Jesus, who has become for us wisdom from God—that is, our righteousness, holiness and redemption. Therefore, as it is written: ‘Let Him who boasts boast in the Lord’” (1 Cor. 1:27-31). God is glorified when we make ourselves available to Him to bless us so we can be His blessing to others. Are you available to Him to do whatever He wants to do with you? That is what is required of you and me. There is no limit to the imagination what God can do through you if you are entirely surrendered to Him.